Ideal for when you need only a few labels rather than a full sheet. 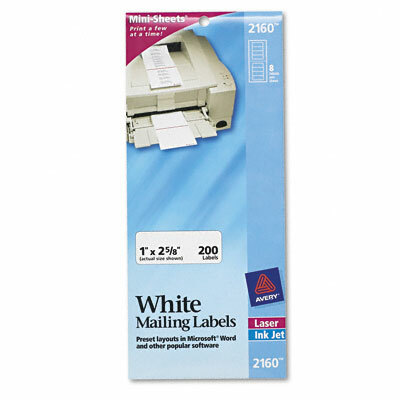 Permanent self-adhesive labels stick and stay in place. Designed to feed manually through laser and inkjet printers. 4 1/4 x 10 sheets. Ideal for when you need only a few labels rather than a full sheet. Permanent self-adhesive labels stick and stay in place. Designed to feed manually through laser and inkjet printers. 4 1/4 x 10 sheets.